An introduced species, alsike clover is a short-lived non-creeping perennial legume. It’s well adapted to cool moist areas of the United States and is very cold hardy. It can reach a height of 2-4 feet and produces an abundance of white or pink flowers. Alsike clover tolerates a wide range of soil conditions, including soils too acidic and wet for other clovers. 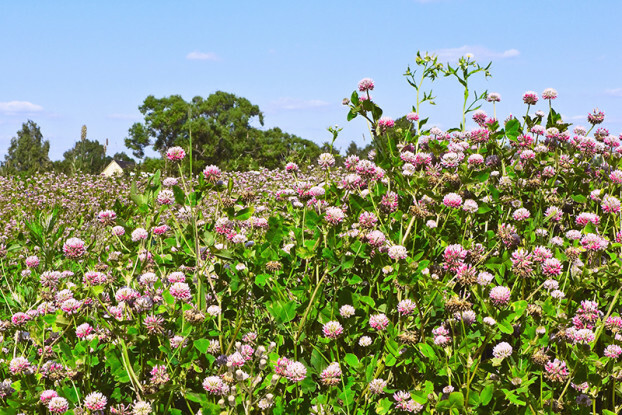 Used for hay, pasture and soil improvement and is particular beneficial to honey bees. Performs best when partnered with grasses. Alsike clover can be grown without irrigation in areas receiving at least 18 inches of annual precipitation.